She was just a day away from being euthanized, but now this dog not only has a second chance at life, she also has a new job! Lady, a black labrador retriever had been abandoned and arrived at the Clermont County (OH) Humane Society as a stray. Weeks passed and no family adopted Lady, who enoyed spending any amount of time chasing a tennis ball. Euthanasia was imminent. Enter: The Cincinnati Lab Rescue. "She was sitting in a kennel, looking very sad but she had a tennis ball in her mouth and would just not let go," said Erin Skie, executive director of the Cincinnati Lab Rescue. The Cincinnati Lab Rescue is a non-profit organization committed to helping Labrador Retrievers find homes. In Lady's case, she found more than a home, she found a force. Rob Dawn of All Dogs K9 Academy in Campbell County made Lady his own personal project. He worked with her to help her find her purpose, believing that Lady had the potential to be a crime fighter, and maybe even this rescue dog could learn to perform rescues of her own. She started training in August and her progress was tracked online. Within weeks, it was clear that Lady was destined for law enforcement. 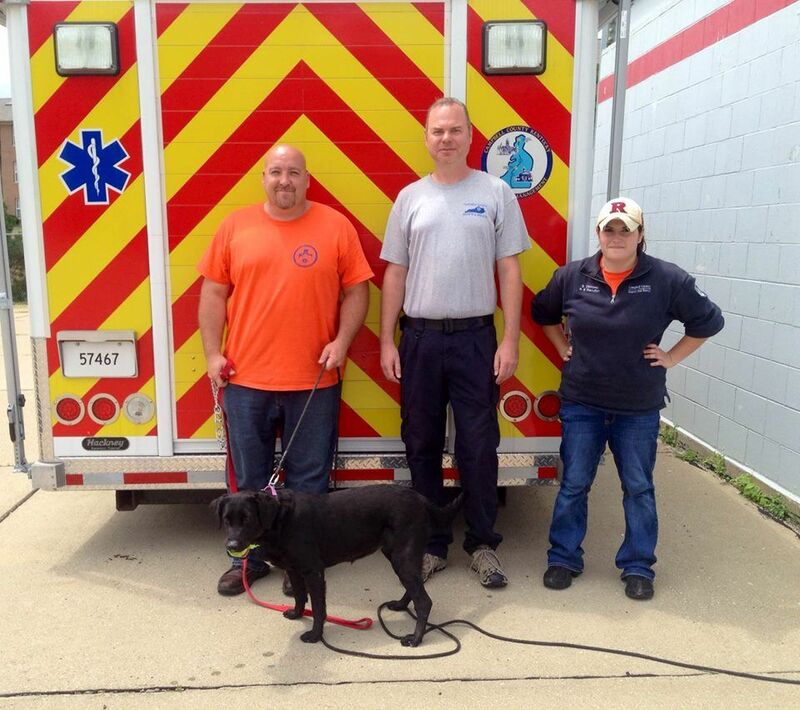 Lady is now the newest K9 with the Northern Kentucky Drug Strike Force for the sole purpose of narcotic detection. She will be partnered with an officer that has prior K9 experience and will live that officer at his home. Lady will be on the front lines of the drug battle in Boone, Kenton, and Campbell Counties. "This has been an incredible journey for Lady, which could not have happened without a village of volunteers to help her achieve this goal," Skie said. "As always, consider a rescue dog. They just might rescue you!"